Grove Components supplier of nuts, bolts, washers and much more for the classic car, bike and boat owner. Grove Components has been supplying classic car, bike and boat owners with nuts and bolts since the 1990s. Originally based in Hazel Grove, Stockport, it moved to the Wirral some years ago. The current owners Tim and Sue Kendall have been in charge since 2008. 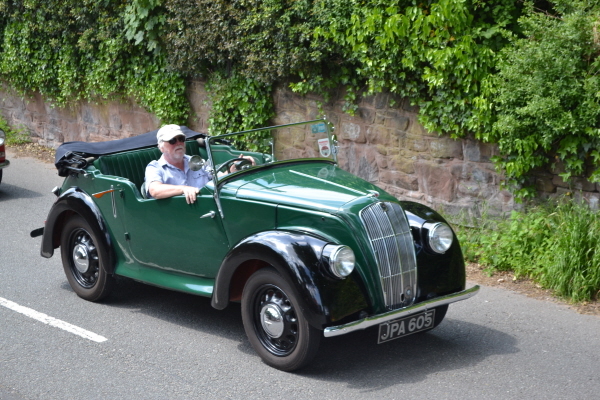 They have owned (and worked on) many classic cars. 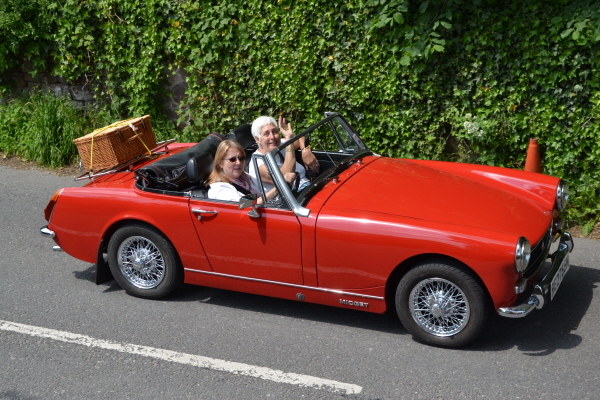 At present Tim has a 1974 MG Midget Mk III and a 1939 Morris 8 Tourer both of which he is constantly "fettling", both cars regularly taking part in local shows and rallies. Sue has a 1971 VW camper van which is used for weekends away as well as at shows. 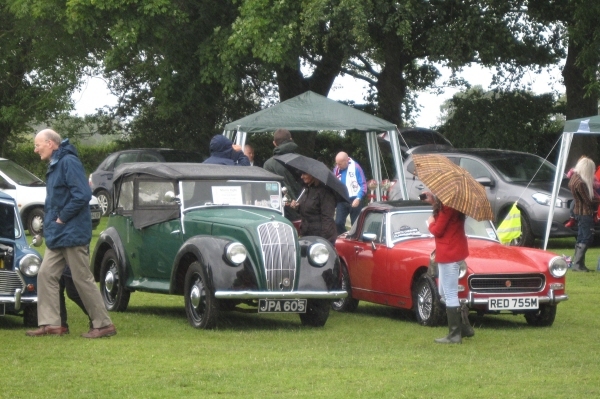 Tim's cars in the rain at a local show. Tim in Dorris the Morris at a local parade.